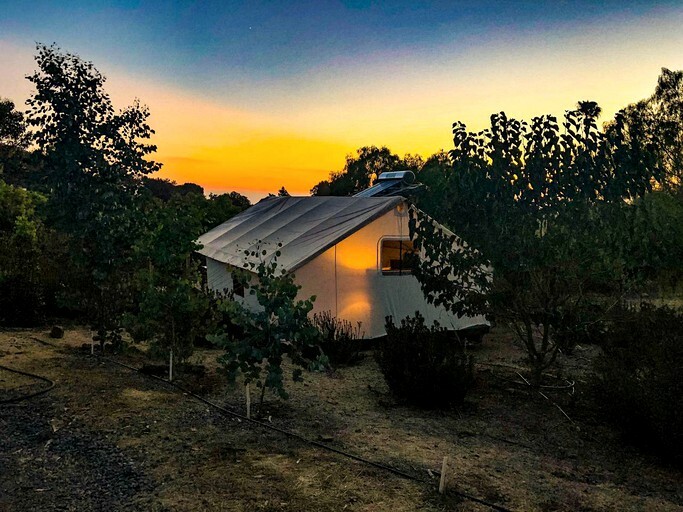 This African-inspired safari tent is nestled on a two-and-a-half acre property in Vista, California, and can accommodate two glampers for an unforgettable glamping experience. 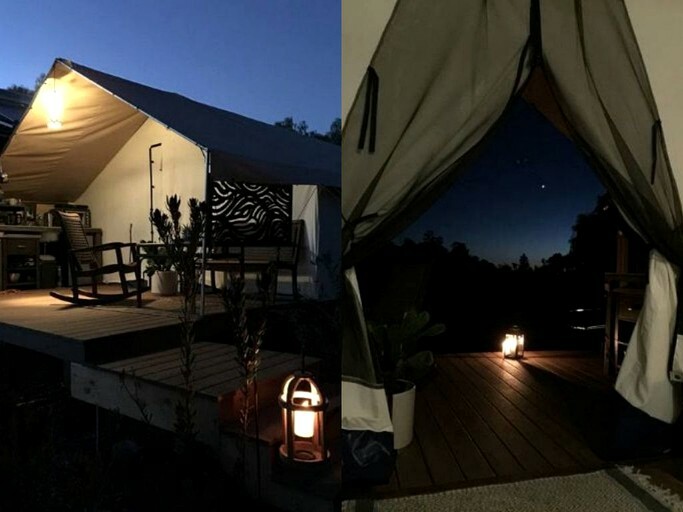 The tent is spacious and offers the creature comforts of home, with stunning decor and access to the sublime surrounding nature. 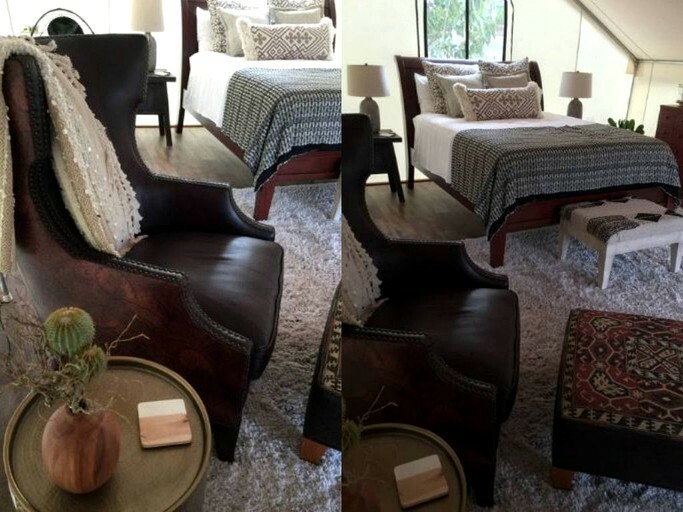 The tent is elevated on a wooden deck and features a plush queen-size bed with a luxury duvet, pillows, and linens. 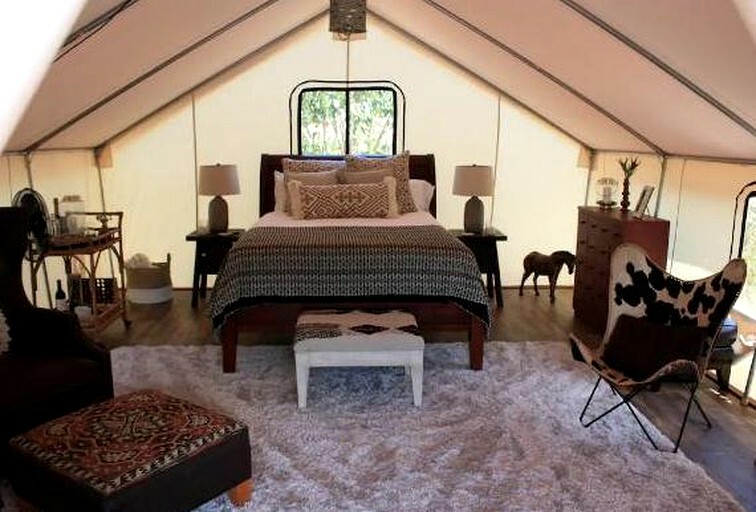 In the living area, glampers can cozy up on the armchairs beside the wood-burning stove and escape into the pages of a bestseller. 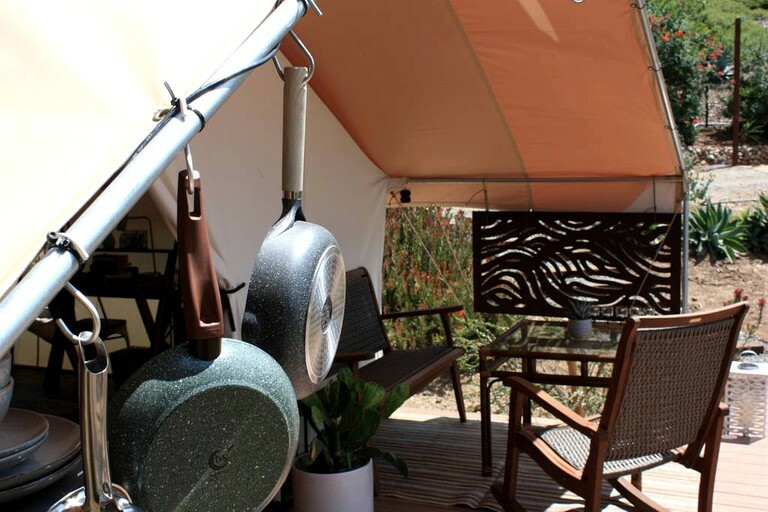 When hunger strikes, the equipped kitchen offers a unique outdoor cooking experience and comes with all the necessities to whip up something delicious. 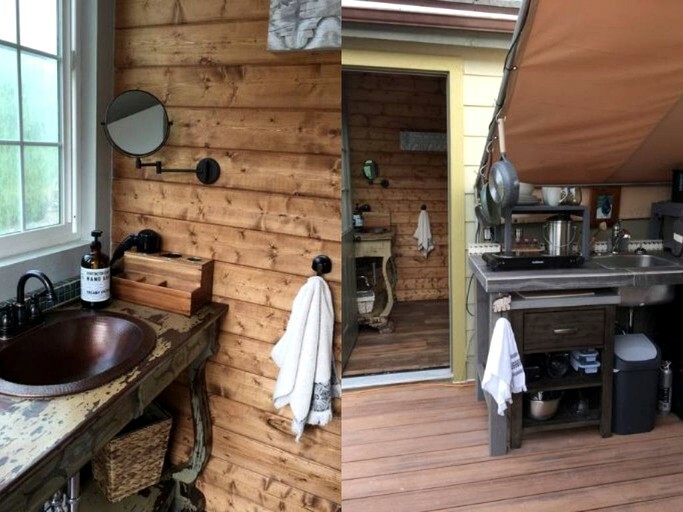 There is a modern outdoor bathroom that comes with a compost toilet, a sink, and a solar hot water shower as well as bath towels and toiletries. 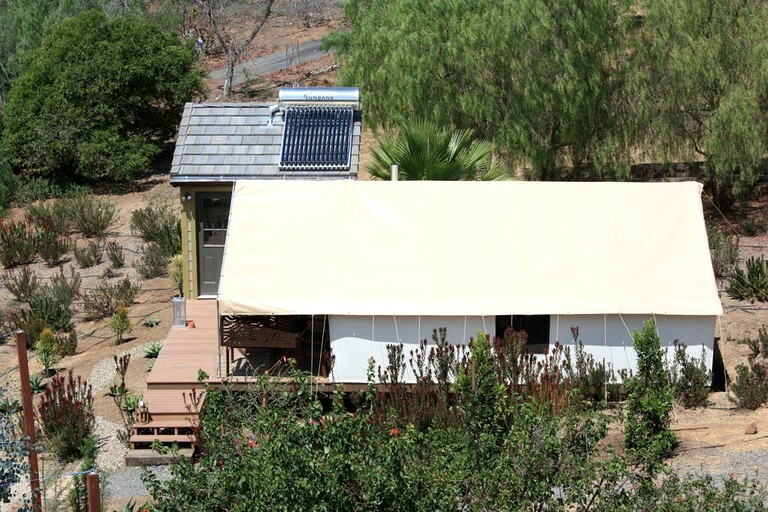 This eco-friendly safari tent is located on two and a half acres and boasts the comforts of home, including a wood-burning stove, a solar hot water shower, an equipped kitchen, and linen and towels. 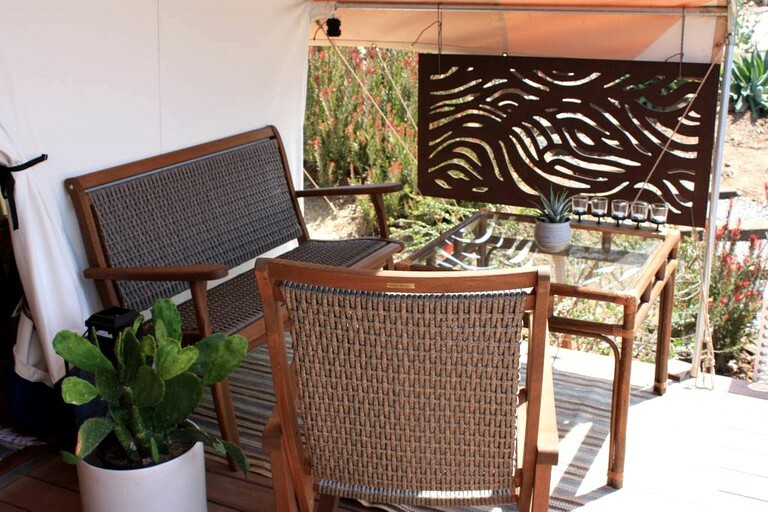 There is a deck furnished with comfy chairs and a barbecue, ideal for whipping up a delicious meal al fresco. 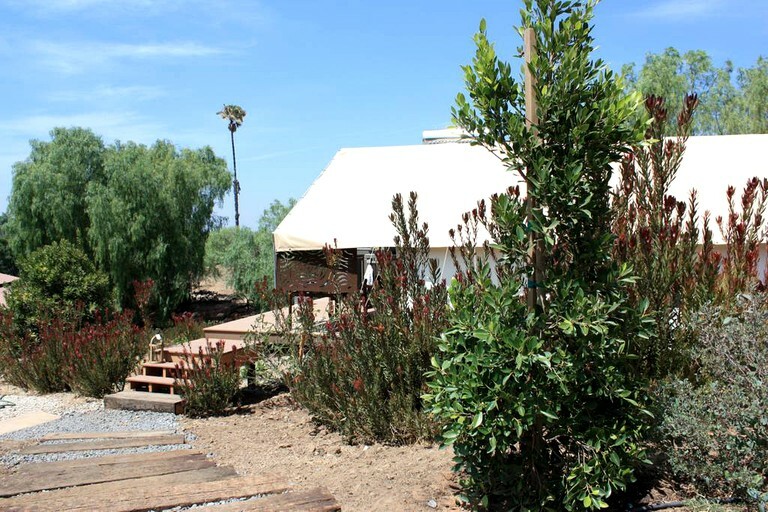 With its close proximity to San Diego, this African-inspired safari tent is the ideal spot to get away from it all while enjoying the great outdoors and the modern conveniences of the city. 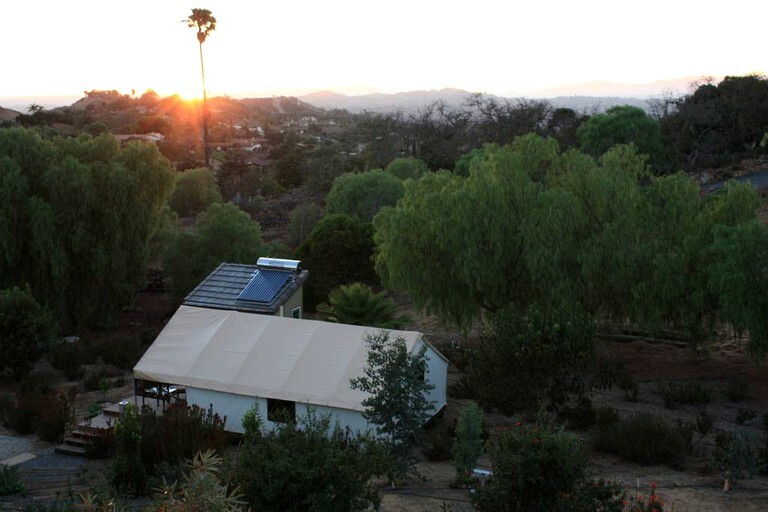 Nature lovers can explore the two and a half acres at their leisure or head to Buena Vista Park where they can traverse some of the hiking paths available. There is a duck pond here which is ideal for glampers with kids as it offers a fun afternoon feeding the ducks or relaxing beside the pond. 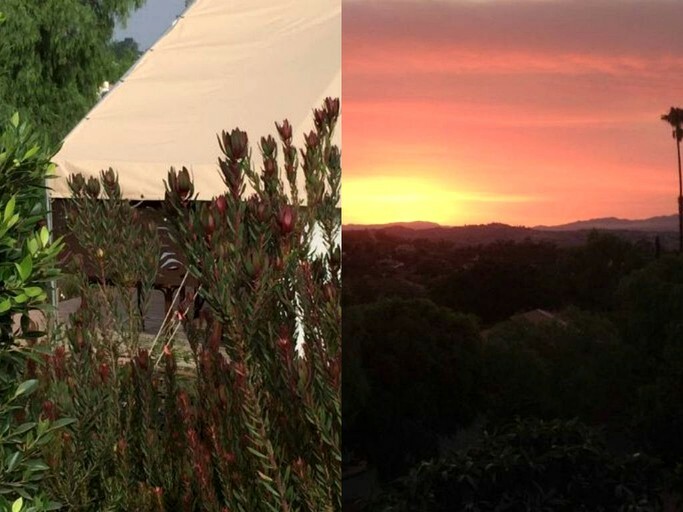 Additionally, the Wave Waterpark has a pool, a slide, and a simulated wave attraction, while those looking to feel like a kid again can head to the San Diego Zoo for the day, which also boasts a safari park, to really experience a bit of Africa. 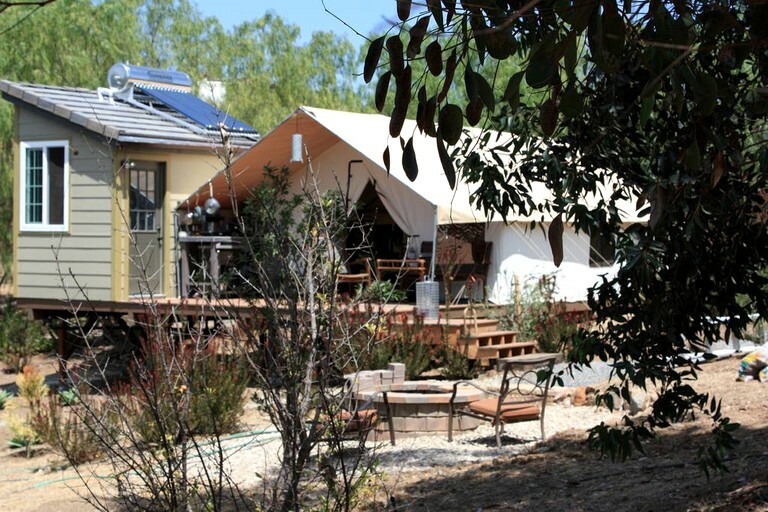 For a change of pace, glampers can head to the Gaslamp Quarter, a vibrant neighborhood that brims with trendy cafes, clubs, cocktail lounges, and dive bars. The Spreckels and Balboa theatres offer a night of music, comedy, and drama, while Horton Plaza Park is perfect for relaxing on the lawn with an ice-cream or a cup of coffee. 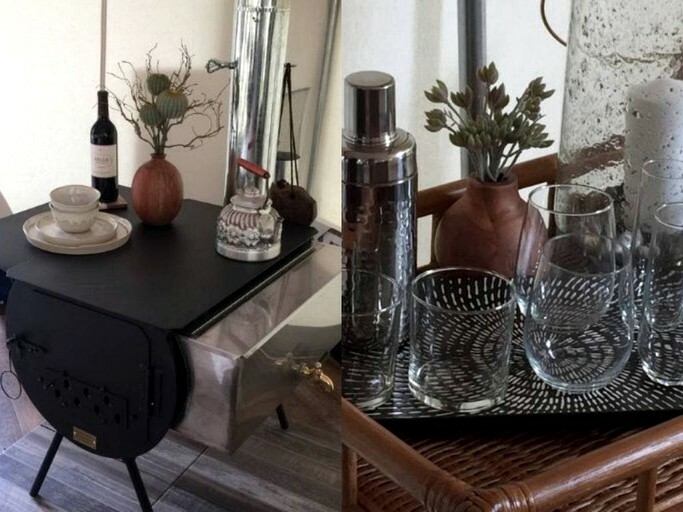 Furthermore, those with a knack for shopping can explore some of the upmarket boutiques or visit the weekly farmers’ market in downtown San Diego. The property is not suitable for kids under two years of age.